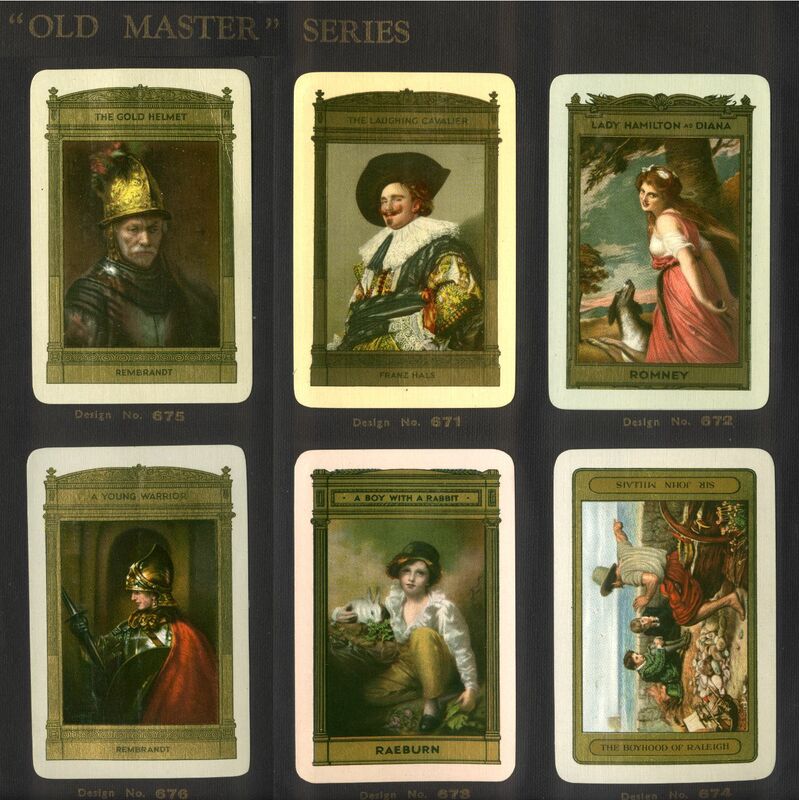 Waddington’s Old Master series was produced from 1932-37. 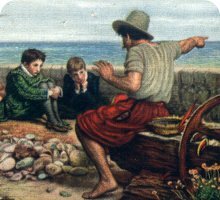 The first pictures were: The Laughing Cavalier (Hals); Lady Hamilton as Diana (Romney); A boy with a rabbit (Raeburn); The boyhood of Raleigh (Millais). Two other Rembrandt pictures were added in 1933 and the helmeted head found on several Waddington boxes is based on one of those, the Golden Helmet. Each pack is linen grained and complete with 22 carat gold edges. 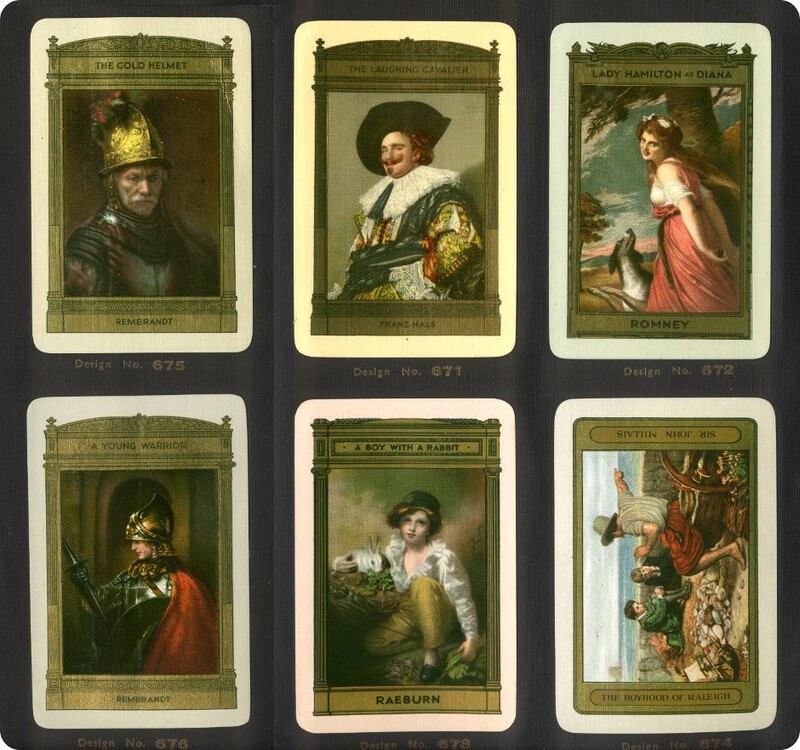 Above: Waddington's Old Master Series, from the 1933 Trade Brochure. 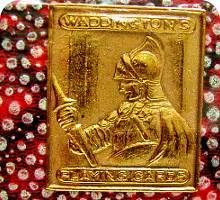 The picture at bottom left ("A Young Warrior") was the basis for Waddington's embossed badge which was affixed to their fancy playing card boxes.